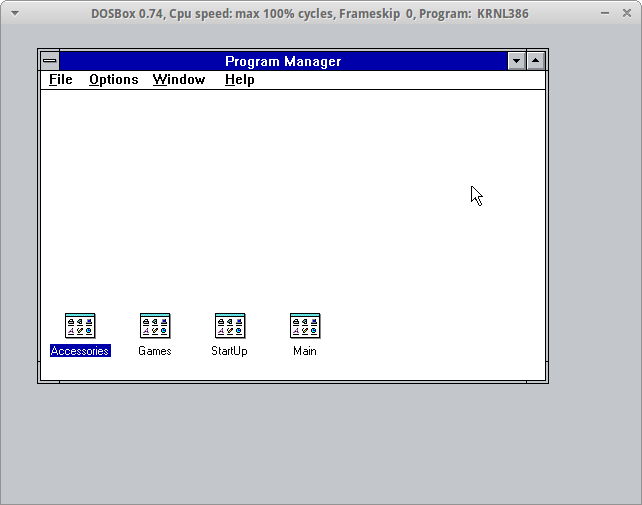 Last night I decided to have a go at seeing if Windows 3.1 would run in dosbox. Surprisingly it does, and pretty quick too, you need to download the dos mouse driver and run that before starting windows but other than that it works. The install was pretty quick too. I guess this being a more proof of concept idea as I am not really sure what I would need windows 3.1 for, mind you there was an excellent periodic table program with decay trees for elements which was pretty good. Kinda out of date now as since then we have discovered and named more elements, and named beyond their initial Latin numerical names.